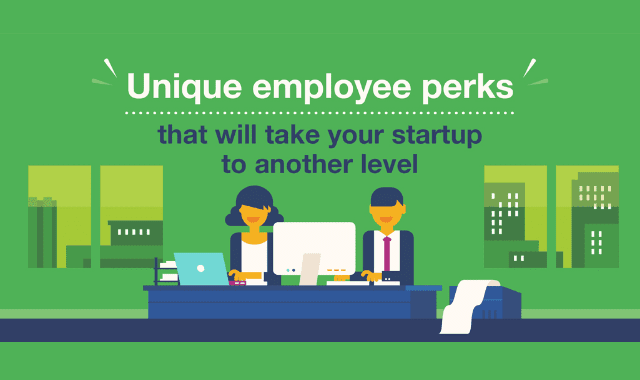 Unique Employee Perks That Will Take Your Startup To Another Level #Infographic ~ Visualistan '+g+"
From free snacks and drinks to time off for birthdays and community service, unconventional work perks are sprouting up around the country to plenty of acclaim. Employee perks not only significantly impact staff retention, eight out of 10 workers say they’d choose an added perk instead of a raise. Traditional perks still have their merit, unique incentives (such as gym memberships, on-site spa services, and nap rooms) can help draw in and retain great talent. Check out the infographic below to get some ideas.